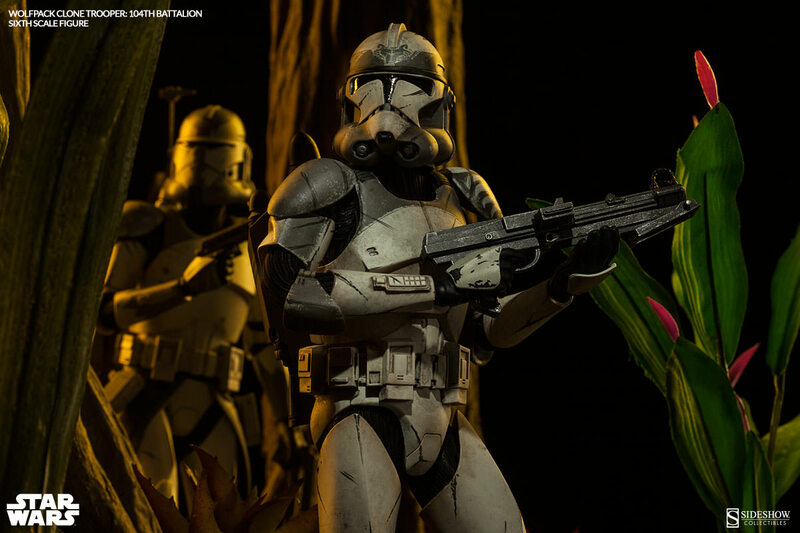 Inspired by Sergeant Sinker in Star Wars: The Clone Wars, Sideshow Collectibles is proud to introduce the Wolfpack Clone Trooper: 104th Battalion Sixth Scale Figure from our Militaries of Star Wars collection. 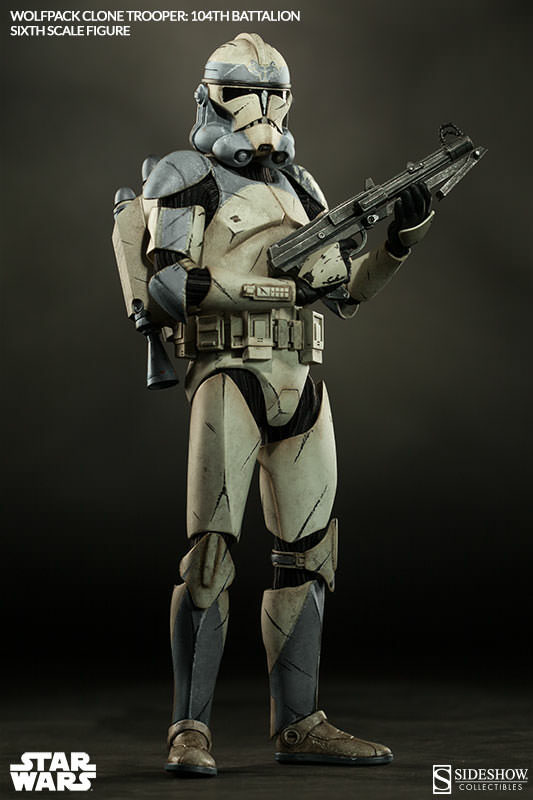 Under the command of Jedi General Plo Koon and Commander Wolffe, the loyal Clone Troopers of the Wolfpack squad identify themselves with a distinctive blue-grey decor, designed to honor fallen comrades at the hands of General Grievous during the Battle of Abregado. 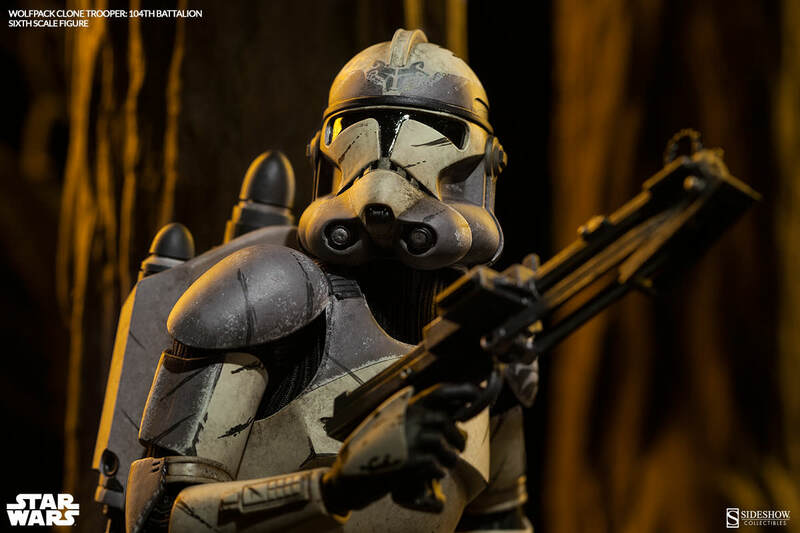 Ready for the next mission, the Wolfpack Clone Trooper Sixth Scale Figure comes equipped with a standard issue jetpack, complete arsenal of weapons and full range of articulation. 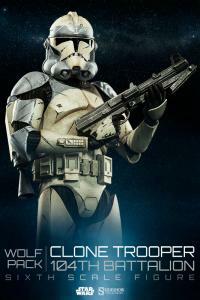 Awesome Trooper. The detail and overall quality is great. Fantastic work of Art. 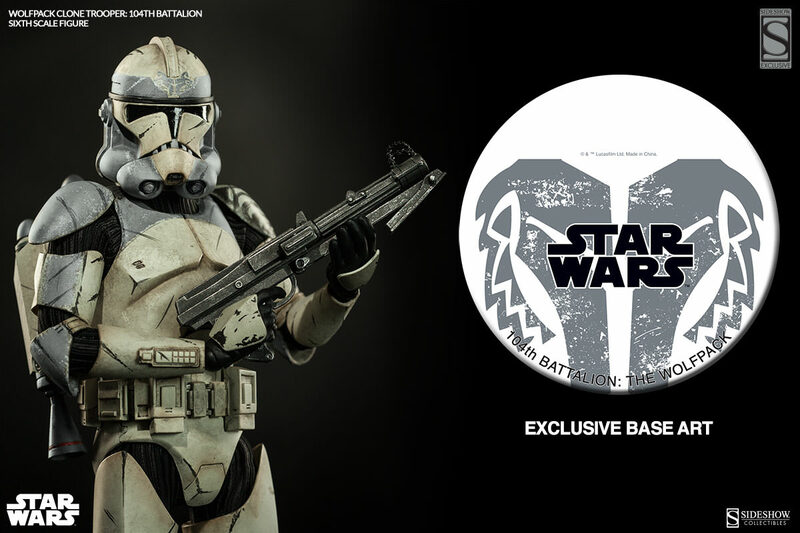 Glad I purchased the special Edition. Keep up the great work Sideshow. 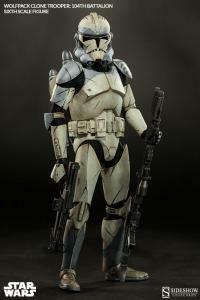 This is a very cool clone and I love the paint scheme. He looks amazing next to Commander Wolffe. I cannot give the artists at Sideshow enough credit for their AMAZING work. 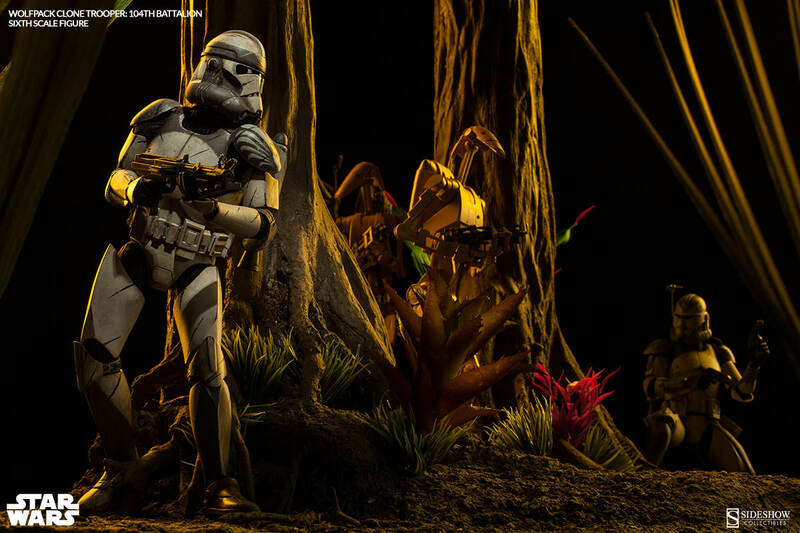 What a cool job to have, I wish I worked for Sideshow. An absolutely awesome looking clone gets added to my collection. You guys have done an exception job with the weathering and paint scheme. Good selection of accessories come with this clone. I'll be ordering a second one shortly ! It's a nice, solid, well accessorized figure. Great weathered paint job and semi-fierce look for the pending take over by Palpatine. Very well done. 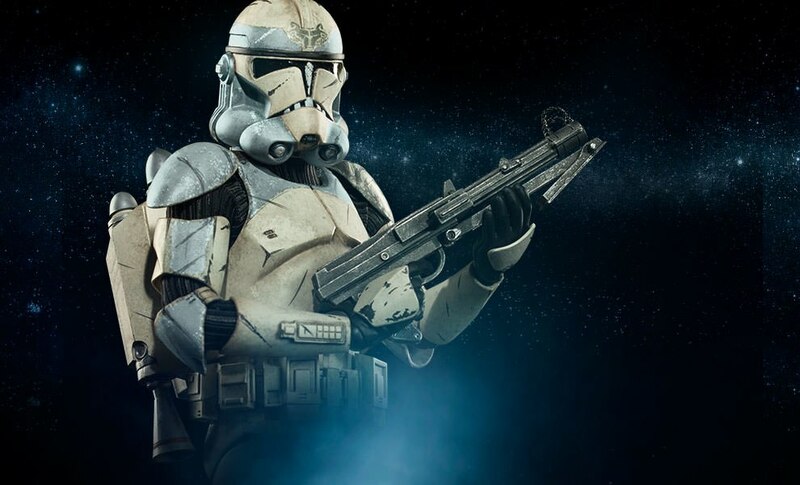 My Clone Army is around 40 unique Troopers strong. 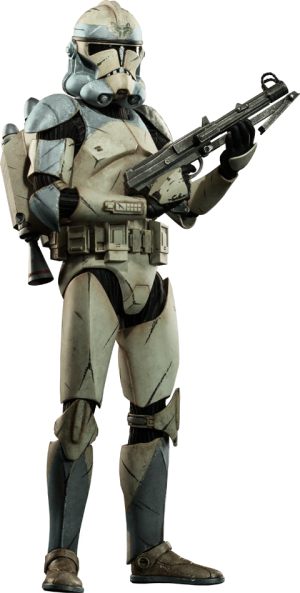 I believe I have every single Trooper that has been released, and there are half-a-dozen I have pre-ordered, yet to be released. 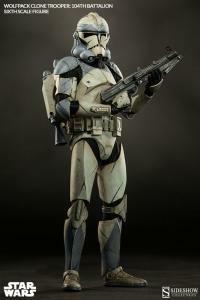 This Trooper is one of my favorites! Great accessories with the backpack AND the jetpack! 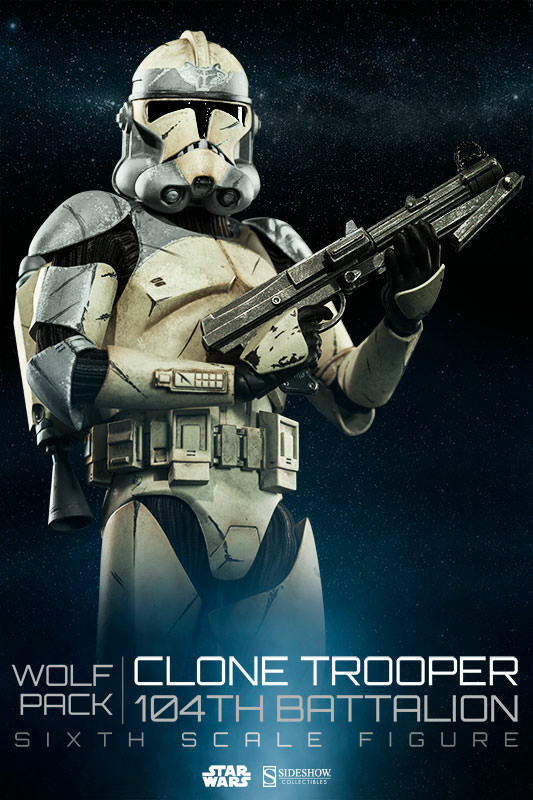 This clone was amazing. The weathering looked perfect next to Wolff. Description said this was Sgt. Sinker. Now all we need is Boost and Comet.....hint..hint :). Getting both the backpack and jet pack was an great. Overall this figure is a must. Thanks Sideshow, keep them coming. 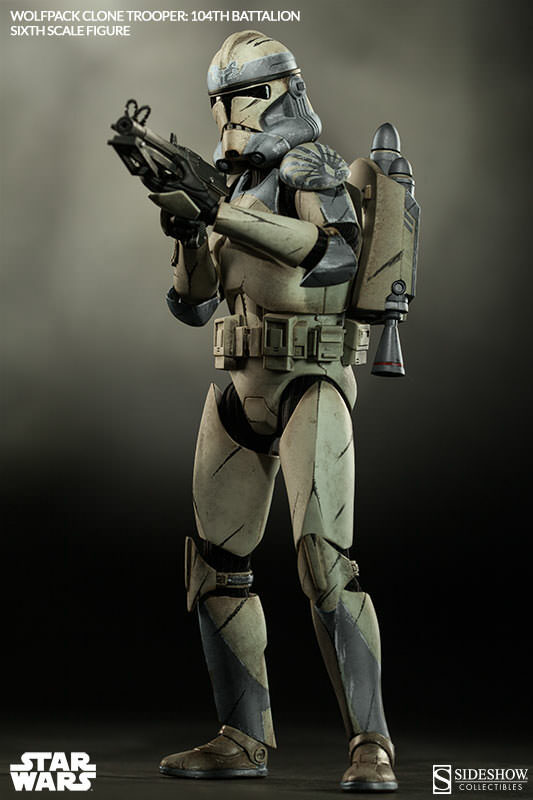 Another great Clone figure! Great poses and no lose joints. keep'em coming!! 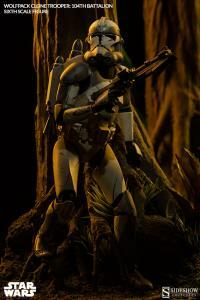 An excellent model - high quality production, easy to pose & well painted. He looks great on display in any environment. Heaps of accessories as well to kit him out however you want. 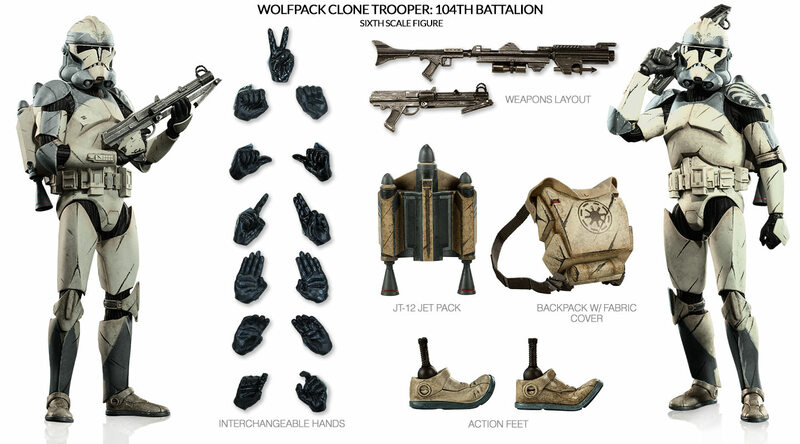 the wolfpack clone has great detail attention and design imagination making it an awsome addition to my collection. Thanks heaps SSC! 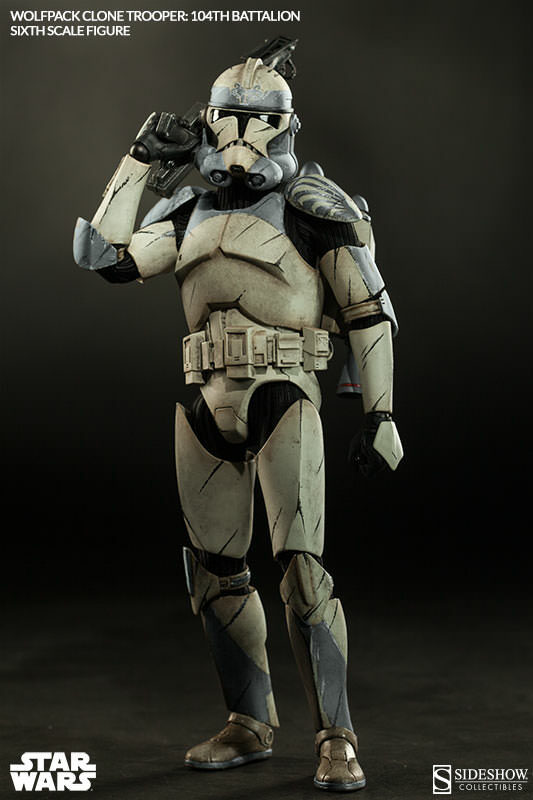 I am a big Star Wars collector but had never owned any Sideshow Replicas but after we recieved The 104 Bat Special Ops Clonetrooper, we were hooked, The detail is awesome and its tough and well built. All the different hands ,feet ,weapons make it really cool for display , I want them all. Fits in well with the other clones that I have bought from you guys. High quality, would buy more when the time comes. Perfect, you guy's couldn't of done better. Only thing, he's a soldier, need more than just one. Great detail as always. 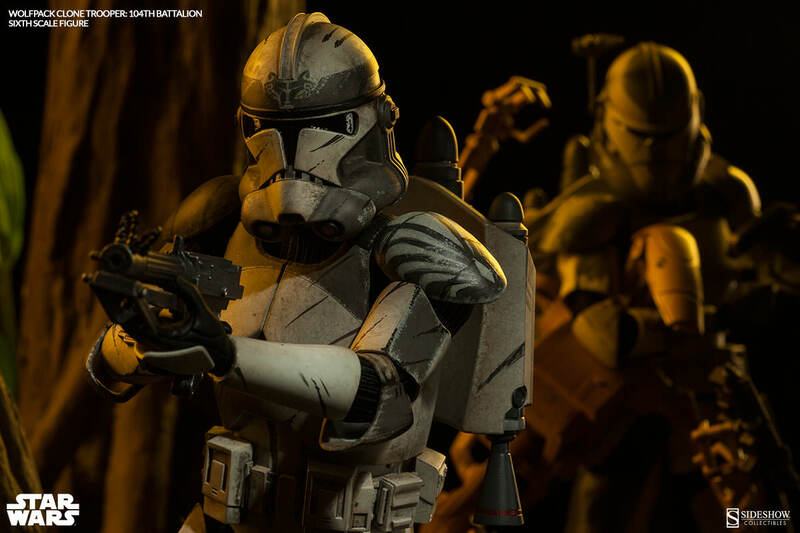 Love the armored Star Wars figures of any type/era. This one won't disappoint! Get one!